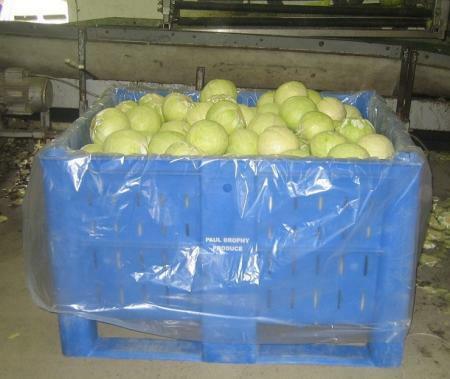 With the liners closed and batch-label sealed the cabbage is kept to the very clean standards required in food processing. Brophy Produce prepares the white cabbage and delivers it so clean in liners there is no waste during processing into coleslaw. They put 300 kilos in each Dolav and stack three high on vehicles. 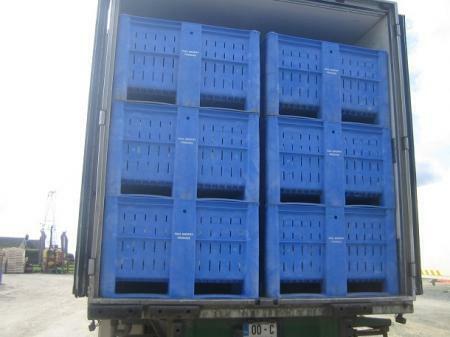 Paul Brophy likes Dolav plastic pallet boxes. "They are very durable. Our produce comes out in much better condition than from wood and with a pressure hose they come up as good as new. Our Dolavs scrub up well," he said.